According to the information provided by the Spanish Capital, Growth and Investment Association (ASCRI) in its 2017 Report, during 2016 private equity and venture capital entities in Spain raised funds totalling €2.271 billion, which entailed an increase of 48.5 per cent over 2015. This is the best figure recorded since the beginning of the financial crisis and improved fundraising performance at a European level, which, according to information from Invest Europe – The Voice of Private Capital (formerly EVCA), underwent a 38 per cent increase in 2016 when compared to 2015. Of the foregoing figure, total funds raised in 2016 by private equity funds stood at €1.702 billion, while the funds of venture capital entities amounted to €568 million. With respect to the origin of the funds raised, funds of funds were positioned as the main contributors of resources (21.7 per cent), followed very closely by family offices (20 per cent). The public sector also played an extremely significant role in the positive performance of fundraising during 2016, through the funds of funds Fond-ICO Global and Innvierte (managed by Axis and CDTI, respectively), which contributed 15 per cent of the total funds raised. 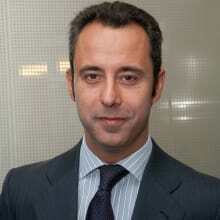 The European Investment Fund also continues to be very active on the Spanish market. On the contrary, contributions by Spanish insurance companies and pension funds continue to place far below their European counterparts. Of all the funds raised, 38.1 per cent come from international investors, which is a sign of their interest in the Spanish market and their faith in the Spanish economy. With respect to 2017, the estimates published to date indicate that fundraising market in Spain is maintaining the healthy level of recent years. Despite the political instability in Catalonia during the last quarter of 2017, the ideal conditions for raising new funds (liquidity, low interest rates and the continuity of public funds of funds programmes) persisted during 2017, resulting in an estimated amount of funds raised by private equity/venture capital funds approximately of €1.861 billion during the past year. With respect to management teams and fundraising periods, the Spanish market does not present differences to other jurisdictions, i.e., managers with a good track record are able to raise a greater volume of funds in a period of between six and 12 months, while first-time teams require longer periods and a greater involvement of public funds. As recent significant fundraisings during 2016 and 2017, in private equity we would highlight Alantra Private Equity Fund (€450 million), Nazca IV (€275 million), MCH Iberian Capital IV (€350 million), the specialised secondary market umbrella funds Altamar Global Secondaries IX (target of €500 million), Portobello Capital Fondo IV (€600 million), the very recent first closing of Miura Fund III (€330 million) and Nexxus Iberia Private Equity Fund (€130 million). As for the venture capital segment, we would point out Ysios BioFund II Innvierte (€126 million) in the life sciences sector and Seaya Ventures II in the ICT sector. In Spain private equity funds and other alternative investment entities (AIFs) are mostly regulated under Law 22/2014, of 12 November, regulating private equity and other closed-ended collective investment entities and alternative investment fund management companies (AIFMs) (Law 22/2014), which implemented Directive 2011/61/EU (AIFMD) into Spanish law and amended Law 35/2003, of 4 November, on Collective Investment Entities (Law 35/2003). After implementation of the AIFMD through Law 22/2014, from a regulatory perspective, the product landscape of alternative investments in Spain can be divided into two separate buckets: (1) open-ended alternative investment vehicles (i.e., hedge funds, real estate investment funds and other open-ended non-UCITS funds), which are regulated in Spain by Law 35/2003 (as amended to implement Directive 2009/65/EU); and (2) private equity or venture capital and closed-ended collective investments vehicles, regulated by Law 22/2014, which applies to closed-ended AIFs domiciled and distributed in Spain and Spain-based alternative investment fund managers. Without minimising the importance in the Spanish alternative investment scene of the open-ended collective investment vehicles mentioned above, it can be confidently said that, after the implementation of the AIFMD, private equity activity in Spain has mostly been pursued under private equity and venture capital structures, in the form of private equity or venture capital funds, or limited liability companies. Both Spain-based alternative investment fund managers and national and foreign investors have been receptive to the closed-ended structures available in Spain (described below) when the fund is aimed at equity investments. As proven by the number of funds raised during 2017 described in Section 1, Spain has consolidated itself as a friendly jurisdiction for establishing closed-ended AIFs whose investment strategy is focused on equity assets located in Spain or certain European regions. 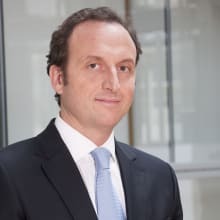 However, it must be noted that the forms of closed-ended collective investment vehicles available in Spain have been generally disregarded by managers of mezzanine and other debt-based AIFs, who have preferred to set up their operations in other EU jurisdictions, such as Luxembourg. 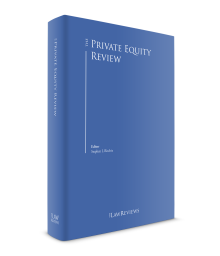 Law 22/2014 defines closed-ended alternative investment as the activity pursued by both private equity and venture capital entities (ECRs) and closed-ended collective investment entities (EICCs). EICCs are defined as any collective investment entity – other than ECRs and open-ended alternative investment vehicles regulated under Law 35/2003 – lacking a commercial or industrial purpose, which solicits capital from a series of investors for it to invest in any form of financial or non-financial assets, pursuant to a clearly defined investment policy. This very broad definition is intended to have a force of attraction, so that any form of capital solicitation (i.e., marketing or distribution) for collective investment vehicles in the private market in Spain will be subject to registration requirements and regulatory oversight by the Spanish National Securities Market Commission (CNMV). ECRs are defined as EICCs whose (1) investment policy is limited to temporary investments in private companies other than real estate companies or financial entities or assets; (2) are subject to certain investment limitations, investment ratios and diversification obligations; and (3) may be marketed and distributed to non-professional investors who comply with certain minimum requirements as set forth in Section II.vi below. As a sub-type of ECRs, Law 22/2014 provides for a specific regime applicable to ECRs whose investment policy is aimed at investing in small and medium-sized enterprises (SMEs), the ECR-SMEs. Both ECRs (including ECR-SMEs) and EICCs can be created under the form of a fund (FCR/FICC) or a limited liability company (SCR/SICC). Among others, the essential practical differences between ECRs and EICCs – in favour of the ECR – are (a) the preferential tax treatment that Spanish laws afford to ECRs and (b) the ability to market ECRs to a specific category of non-professional investors, as further described below. On the other hand, EICCs are not subject to the investment limitations, thresholds and diversification obligations to which ECRs (including ECR-SMEs) are subject. We summarise below the main features of the most common forms of closed-ended AIFs in Spain. The most common form of AIF in Spain in cases where the sponsor is a Spain-based registered AIFM is a private equity or venture capital fund (FCR).2 An FCR is a separate pool of capital held by a number of investors with no legal personality whose management and representation is legally bestowed upon a duly registered AIFM and whose constitutional documents and investment policy comply with the ECR requirements under Law 22/2014. An FCR is the institution under Spanish law that most closely replicates the Anglo-Saxon limited partnership-type of fund structure. Making a simplified comparative analysis, the AIFM and the holders of FCR participations would be, respectively, the equivalent of the general partner and the LPs under a limited partnership-type of fund structure. The FCR is legally created upon the cumulative completion of the following steps: (1) the initial contribution of a minimum amount of funds or eligible assets by one or more investors and, as the case may be, the AIFM; (2) the formalisation of the relevant contract for the creation of the fund, which must include, among others, the FCR’s management regulations and defined investment policy; and (3) the filing and registration of the fund contract and the prospectus – including all the information about the AIF and the AIFM required under Law 22/2014 – with the CNMV. The creation of an FCR is not subject to prior authorisation by the CNMV, but it needs to be registered with the CNMV registry before it can start operating. A qualified AIFM may choose to set up a European FCR (FCRE), in which case, the FCR must comply with the requirements under EU Regulation 345/2013 of the European Parliament and of the Council, as amended by EU Regulation 1991/2017. The role of the CNMV registry is limited to checking the completeness of the documentation filed for registration, without prejudice to the oversight capacity and disciplinary powers of the CNMV over the sponsor AIFM in relation to its pursuit of marketing or distribution and management activities related to the FCR. The mandatory content of the management regulations is very similar to the content required of other equivalent alternative investment vehicles in other EU jurisdictions, including the specific defined investment policy. In Spanish market practice, FCR management regulations commonly include the most typical key legal terms covered by Anglo-Saxon limited partnership agreements. g limitations on indemnities of the management team in connection with third-party claims. The most-used form of AIF in Spain after the FCR is the private equity or venture capital company (SCR).3 An SCR is a limited liability company whose constitutional documents and investment policy comply with the ECR requirements under Law 22/2014. Compared to the FCR, the main practical differences displayed by the SCR are described in the following paragraphs. An SCR may be managed internally (i.e., by providing it with all the requisite management resources, both human and material) or externally (i.e., by a duly registered AIFM). As an exception to the general rule, the incorporation of an internally managed SCR is subject to prior authorisation by the CNMV, a process that is substantially equivalent to that of the authorisation of an AIFM. The possibility of internal management allows for an investor or a number of investors to sponsor the creation of an SCR, without the presence of an AIFM. It is also possible to create an internally managed SCR that delegates certain AIF management functions to a duly registered AIFM or other authorised collective investment management or financial entities. In terms of incorporation and the setting up of its activity, an SCR externally managed by a duly registered AIFM is not subject to prior authorisation by the CNMV, but only to a post-incorporation registration requirement similar to the regime applicable to an FCR. As a consequence of its corporate form, the Spanish Capital Companies Act applies to SCRs in any and all matters not expressly regulated under Law 22/2014. Therefore, the SCR must be incorporated by execution of a public deed in front of a notary and must be registered at the Companies Registry, a process that may take up to 15 days. This is a prerequisite for filing the incorporation documents with the CNMV, which then usually takes five to 15 days to register the SCR on its registry. This duplication of registration processes implies a substantial delay in the incorporation of the vehicle, which is avoided in FCR structures. Certain decisions will be reserved to the board of directors or the general shareholders meeting according to the law. The legal rules and mandatory prior notice periods applicable to the call of the shareholders’ meeting or the board meeting will apply, while the FCR management regulations provide more flexibility when it comes to the internal organisation of the decision-making process. In case of an externally managed SCR, such decisions may not be delegated to the AIFM, which, from a practical perspective, results in additional formal requirements and shareholder involvement in the investment or divestment decision process. The rules on dividend distributions, share capital increases and reductions, the creation of reserves and other creditor protection provisions in the Spanish Capital Companies Act will apply, making the SCR a less flexible vehicle than the FCR for such purposes. In terms of fund documentation, in the case of an SCR, the typical terms included in the limited partnership agreement in Anglo-Saxon structures or in the fund management regulations described in Section II.ii are also included in the SCR contractual documentation. However, instead of most of these terms being included in a single document, such as the FCR management regulations, they are split between: (1) the SCR by-laws, (2) the management agreement entered into between the AIFM and the SCR, (3) the private placement memorandum or prospectus, (4) the investment commitment letters and (5) in internally managed SCRs or SCRs with a reduced number of significant investors, shareholders’ agreements or side agreements. Despite the additional investment management flexibility offered by EICCs, the lack of a privileged tax regime and the inability of AIFMs to market EICCs to non-professional investors have substantially limited the potential for expansion of the use of EICCs. As of 29 January 2018, according to publicly available information at the CNMV website, only 13 SICCs and two FICCs appear registered with the relevant registries of the CNMV. That said, it must be noted that this type of entity, both in the corporate and fund forms, represents an opportunity for Spanish AIFMs to expand their fundraising activities, as they allow AIFMs to search for new alternative investment opportunities in financial, real estate, commodities and other assets that are not eligible for ECR vehicles or that, although eligible, the maturity or other characteristics of the investment would be incompatible with the investment limitations and diversification obligations required of ECRs. AIFMs regulated by Law 22/2014 must apply for authorisation by the CNMV to conduct their activities. For an AIFM to be authorised by the CNMV to pursue AIF management activities, it has to comply with all the AIFMD requirements as these have been implemented into Spanish law by Law 22/2014. Among others, an AIFM must be sourced with sufficient capital, human talent and material resources and be organised in a manner that ensures the provision to the AIF of the common functions of professionally regulated investment managers, such as investment portfolio management, risk management, liquidity management, compliance, internal audit, valuation, etc. The remuneration policy, incentive schemes, delegation of functions to third parties, conflicts of interest management and any other policies related to the AIFM functions must comply with the principles set forth in Law 22/2014 and EU regulations and standards. As regards the depositary function, Law 22/2014 establishes that the AIFM may perform the depositary function if the AIFs that it manages are not marketed to non-professional investors and the assets under management by such AIFM do not exceed (1) €100 million if the AIFs managed use leverage or (2) €500 million if none of the AIFs managed by the AIFM use leverage or have shareholders’ redemption rights in a period shorter than five years. If the AIFM markets the AIF to non-professional investors or the above thresholds are exceeded, the AIFM must appoint a third-party qualified depositary for each AIF that it manages. Once the AIFM is authorised by the CNMV and fully operative, it must comply with a number of fiduciary duties in relation to the investors and must observe certain basic conduct principles expressly provided for under Law 22/2014. Those fiduciary duties and principles apply across all lines of activity and functions of the AIFM, but two of those duties are particularly relevant in the context of the fundraising process: (1) the fiduciary duty of loyalty (including the obligation to avoid and manage conflicts of interest) and (2) the equal treatment principle. To minimise and manage conflicts of interest, AIFMs must (1) devise and formalise organisational procedures to avoid, detect, control and manage conflicts of interest that may harm the interest of the investors and (2) implement those procedures and regulations loyally to the interests of investors, including taking any necessary organisational actions that may be required to remove persistent conflicts of interest. Additionally, the AIFM and its managers and shareholders must disclose their holdings, investments or relations with entities that may potentially result in a conflict of interest that may not be controlled and managed by the organisational and administrative mechanisms envisaged in the organisational procedures. Albeit an essential investor protection rule, the equal treatment principle is probably the principle with the most impact on the fundraising process. As anticipated in Section II.ii above, it is becoming increasingly common to have fee structures that differentiate investors depending on the volume invested, timing of the investment, etc. Law 22/2014 frames the equal treatment principle in a flexible manner, subject to strict compliance with the full transparency principle, which serves as the positive limit to such flexibility. Thus, in Spain, AIFMs are allowed to afford a different or privileged treatment to a particular investor or category of investors as long as such different or privileged treatment is expressly disclosed in the management regulations, constitutional documents and the AIF’s private placement memorandum or prospectus transparently. In Spanish fundraising practice, it is also becoming relatively common to complete the provisions of the management regulations or constitutional documents relating to the equal treatment principle by introducing a ‘most favoured investor’ clause to ensure that any future investor that meets the same conditions as those which granted the original investor special treatment is afforded the same treatment. Law 22/2014 defines marketing and distribution of ECR and EICC shares very broadly, including any form of direct or indirect solicitation of investment by any type of investor in the ECR and EICC. As a general rule, shares in an ECR or EICC may only be marketed and distributed to professional investors. However, to allow AIFMs to market ECRs to investors who would otherwise be treated as retail investors according to Spanish capital markets regulations or MiFID, but who are, for example, high net worth individuals, family offices or any other type of investor whose classification under MiFID could be disputed, Law 22/2014 expressly provides for an exception that substantially expands the potential investor base to which the sponsor AIFM can direct its marketing efforts. b the investor must state in writing, in a document separate from the commitment letter or contract, that it is aware of the risks of investing in the ECR. The AIFM must obtain evidence that the non-professional investor has the required knowledge, expertise and experience to independently evaluate the risks of the investment in ECR shares and has to keep supporting written documentation of the analysis of the fulfilment of the requirements performed by the AIFM and the positive outcome. For the avoidance of doubt, the above exception only applies to ECRs. EICCs may not be marketed to non-professional investors. Without prejudice to the foregoing rules on marketing and distribution of ECR and EICC shares, it must be noted that ECR and EICC shares can be acquired or subscribed by non-professional investors if (1) no marketing or distribution has taken place (i.e., the subscription results from the unsolicited expression of interest by the non-professional investor, known as ‘reverse solicitation’), and (2) the requirements under (a) and (b) above are met. From a practical perspective, it could be said that the most common forms of marketing and solicitation by AIFMs in Spain are direct solicitation and by delegation of the marketing function to a private placement agent. The limited number of professional institutional investors and the existence of prominent industry associations are key factors to have AIFMs choose the personal approach to institutional investors in the form of direct presentations and roadshows, which is becoming increasingly popular among the most prestigious Spanish AIFMs whose AIFs are aimed exclusively at professional investors and have a previous track record and direct contact with investors in previous funds managed by such AIFMs. On the other hand, in the case of newcomers, using private placement agents is probably the most common form of addressing the fundraising. Additionally, when AIFMs – taking advantage of the possibility provided by Law 22/2014 – intend to market ECRs to non-professional investors, they usually delegate the marketing and distribution of the product to the private banking arm of financial institutions or specialised wealth management firms. if applicable, information about the use of leverage. In addition to the mandatory prospectus disclosure described above, it is common practice in Spain (as in other jurisdictions where private equity has become a common financing tool) for the AIFM to prepare a set of due diligence materials with additional detailed information about the AIFM, the key managers and the key due diligence items commonly required by professional institutional investors. Such materials are complemented by a Q&A process. The usual topics disclosed in the due diligence materials include an executive summary of the main transactions completed in the past by the AIFM team, the organisation of the AIFM, the experience of the team members, their roles, details of the shareholders of the AIFM and certain financial information such as the co-investment commitment of the AIFM team, the carried interest general vesting rules, management fees and operating budget. It is also common for information to be requested on previous fund returns, benchmark fee comparisons, potential deal flow pipeline, portfolio packs, value creation analysis, practical details of the investment process and certain legal documentation. As indicated in the previous sections, the Spanish governmental agency in charge of overseeing funds, the fundraising process and the relationship between the AIFM and the alternative investment investors is the CNMV. From a purely Spanish regulatory standpoint – and setting aside the entry into force of directly applicable EU Regulations amending the FCRE Regulation and other EU and ESMA recommendations, technical rules and Q&A publications in relation to AIFMD – there has been no material regulatory development worthy of attention. Law 22/2014 remains the only Spanish legal instrument of implementation of the AIFMD into the Spanish legal system, with Law 25/2003 applying secondarily to AIFMs in any and all matters not expressly regulated under Law 22/2014. However, on 13 October 2016, the CNMV issued a Q&A document in which it answered certain questions about the CNMV’s interpretation of certain provisions of Law 22/2014, which is publicly available at the CNMV’s website and has been useful for the industry during 2017. ECRs and EICCs are entities which are fully subject to corporate income tax in Spain (with no possibility or option of being tax exempt) and therefore cannot be treated as fiscally transparent or flow-through entities. Both types of entity are eligible for the Spanish general participation exemption, provided that they comply with the requirements imposed under Article 21 of Law 27/2014, of 27 November, 2014 (the CIT Law), among others (1) holding percentage of at least 5 per cent or acquisition cost of €20 million and (2) holding period of at least one year. Capital gains obtained by an ECR on the transfer of its Spanish and non-Spanish qualifying investments will be 99 per cent exempt, provided that the transfer takes place between the second and the 15th year of investment (both inclusive). Subject to the approval of the Spanish tax authorities, this term may be extended to up to 20 years in certain cases. If the qualifying investment is floated on a regulated stock exchange, divestment should occur no later than three years after the initial public offering in order for the ECR to benefit from the special regime. Dividends or distributions of profits obtained from qualifying investments would be eligible for the Spanish general participation exemption without the holding threshold or period requirements having to be met. There is no provision under the special tax regime that refers to interest income and, accordingly, ECRs and EICCs will be subject to the general corporate income tax regime with regard to any interest income, whether from a Spanish or foreign source. 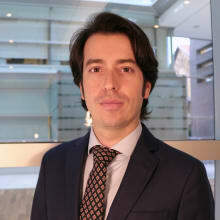 Spanish corporate tax taxpayers (as well as non-resident investors acting in Spain through a permanent establishment) will be entitled to apply the Spanish general participation exemption without the holding threshold or period requirements having to be met for dividends obtained and capital gains disclosed on their holdings in ECRs. Non-resident individuals or corporations without a permanent establishment in Spain will not be taxed in Spain on dividends obtained and capital gains disclosed on their holdings in ECR, unless they obtain them through, or are located in, a tax haven, in which case they will be subject to non-resident income tax. Spanish resident individuals will be taxed at their general individual tax rates on dividends obtained and capital gains disclosed on their holdings in ECRs. In our view, the outlook for the private equity markets in Spain is positive. The number of players is increasing and the volume of alternative investment assets under management by the most prestigious management teams continues to grow. The persistence of the ideal conditions for the development of the market and a perceived general international investor consensus that Spain is an attractive market offering interesting investment opportunities, leads us to believe that the Spanish fundraising market will be very active in coming years. In terms of trends, we would highlight the significant increase in secondary transactions on the market, as well as the increasing number of investors interested in this type of transaction and the recent proliferation of renewable energy investment vehicles, a segment that we expect to continue to grow. We also expect mezzanine and debt-based funds to continue increasing their focus on the Spanish market, playing an important role as a more flexible alternative to traditional bank financing, capable of addressing the specific needs of each transaction. 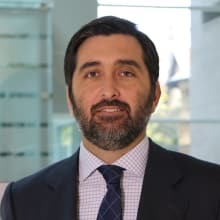 Álvaro Manteca Rodríguez is a principal associate at J&A Garrigues, SLP. 2 According to the information available at the CNMV website (www.cnmv.es) a total of 191 FCRs were registered with the CNMV as of 29 January 2018, which included 12 FCR-SME and 5 FCRE. 3 According to the information available at the CNMV website (www.cnmv.es) a total of 121 SCRs were registered with the CNMV as of 29 January 2018, which included 16 SCR-SME.